K. B. Institute of Pharmaceutical Education and Research, Near GH - 6 Circle, Sector - 23, Gandhinagar - 382023, Gujarat, India. ABSTRACT: Orphan drugs are medicines or vaccines intended to treat, prevent or diagnose a rare disease (viz., Huntington's disease, myoclonus disease, Tourette syndrome, etc.). The definition of rare diseases varies across jurisdictions but typically considers disease prevalence, severity, and existence of alternative therapeutic options. A rare disease is not universal and depends on the legislation and policies adopted by each region or country. In the last 35 years, ODA (Orphan Drug Act, 1983) has been adopted in several countries worldwide (USA, Australia, European Union, Japan, etc.) and has successfully promoted R and D investments to develop new pharmaceutical products for the treatment of rare diseases. The incidences of such diseases have been increasing at a greater pace than the speed with which drugs are researched and developed to treat such diseases. One of the major reasons is that the pharmaceutical industry is not very keen to research the development of orphan drugs as these drugs do not capture a bigger market. 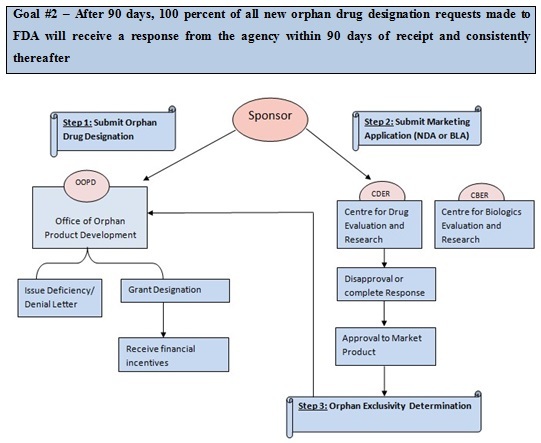 This is the current scenario in-spite of the various incentives provided in the orphan drug act. However, in this article, we have tried to focus on existing regulations and policies utilized by various countries namely USA, EU, Japan, and Australia. It has been noted, most importantly that the two largest populated countries- China and India, both lack national legislation for orphan medicines and rare diseases, which could have substantial negative impacts on their patient populations with rare diseases. INTRODUCTION: A medicinal product designated as an orphan drug is one that has been developed specifically to treat a rare medical condition referred to as “orphan disease.” It may be defined as drugs that are not developed by the pharmaceutical industry for economic reasons but which respond to public health need 1. The spiralling cost of drug development in tune with stringent regulations, coupled with the low return on investment, often tends to discourage pharmaceutical innovators from developing products for extremely small patient populations. 80% of rare diseases have been identified to genetic origins. Other rare diseases are the result of infections (bacterial or viral) and allergies or are due to degenerative and proliferative causes 1. Orphan drugs are an important public health issue and a challenge for the medical community 2. Modern society still has a lack of options for the effective treatment of patients with rare diseases. As one of the consequences of this, the demand for public health protection has increased the economic burden of a patient suffering from such diseases 3. Scientific advances have given researchers a new tool to explore these orphan diseases, which are often more complex than common diseases. On the brighter side, these rare diseases when taken together cannot be called rare at all. There are approximately 7000 different types of rare diseases and disorders with more being discovered today. It has been reported that there are about 250 new rare cases reported every year, however, the acceptable treatment is available only for 200-300 orphan diseases 4. It is known that the 80% of these rare diseases are of genetic origin and the rest have environmental, bacterial, viral or unknown origin 4. Overall orphan diseases are often chronic, progressive, disabling; even life-threatening and most of these have effective or curative treatment, having low prevalence and high complexity 5. 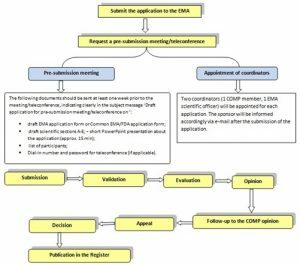 Evolution of Orphan Drug Act (ODA): The regulations resulting from the FD and C Act and the 1962 Amendment had especially negative consequences for orphan drugs. Because orphan drugs target small populations and yield lower returns, Asbury (1992) finds only four drugs that were on the market to treat rare diseases by 1965. Legislation significantly increased the costs associated with drug development and caused pharmaceutical companies to focus their attention on drugs that would maximize profits and the possibility of recouping their R and D costs. The Orphan Drug Act (ODA) of 1983: Before the Orphan Drug Act (ODA) of 1983, the FDA had approved only 58 orphan designations, with fewer than 10 approved in the decade before the ODA was passed (Pharma, 2013). After the ODA, existing drugs that qualified had to be reapproved to gain market exclusivity and the benefits of the Act. The ODA has several parts, but its main purpose is to reduce costs and increase the returns to orphan drug production. Additionally, the ODA allows the FDA to expedite orphan drug designation approvals over other drugs, reducing the development time 7. In 1997 Congress made a 50% tax credit on R and D expenditures a permanent feature of the Act. This credit goes towards clinical trial expenses of drugs that have received official orphan drug status by the FDA 6. The most contested provision of the ODA is the seven years of market exclusivity rights that pharmaceutical companies can obtain for orphan products, which grants them a monopoly over the marketing of the drug for a particular indication. Since the act has been enacted, it has been amended for numerous times by Congress. Initially, orphan status was only granted to drug manufacturers that demonstrated that the development of an orphan drug would be unprofitable and the costs would not be recouped through US sales. Orphan drugs could be profitable through worldwide sales as long as there were no “reasonable expectation” that US sales would exceed the development costs. Orphan drug exclusivity status was restricted to drugs that could not be patented, as some biotech drugs had difficulty in obtaining patents. However, in 1985 another amendment to the ODA dropped that restriction. In reality, most orphan products could obtain patents, but it was because of the lengthy approval process that many of the patents expired before the product was able to reach the market, making them redundant. In 1990 Congress passed a proposal to limit market exclusivity, but President George H. W. Bush vetoed the amendment. Most recently, the FDA amended the ODA on June 12, 2013, to “clarify, streamline, and improve the orphan drug designation process” 8. United States: As defined in the United States, any drug developed under the Orphan Drug Act of January 1983 (ODA) is an orphan drug. The ODA is a federal law concerning rare diseases (orphan diseases) that affect fewer than 200,000 people in the United States or are of low prevalence (less than 5 per 10,000 in the community) 9. Europe: A disease or disorder that affects fewer than 5 in 10,000 citizens is the definition for rare in Europe (Orphan Drug Regulation 141/2000). At first glance, this may seem a small number, but by this definition, rare diseases can affect as many as 30 million European Union citizens. According to EURORDIS (European Organization for Rare Diseases), the number of rare diseases numbers from about 6,000 to 8,000, most of which have identified genetic conditions, with medical literature describing approximately five new rare conditions every week. Twenty-five to Thirty million people is reported to be affected by these diseases in Europe 9. Japan: A drug must meet the following three conditions to be considered for orphan drug designation in Japan. Any disease with fewer than 50,000 prevalent cases (0.4%) is Japan's definition of rare. The drug treats a disease or condition for which there are no other treatments available in Japan, or the proposed drug is clinically superior to drugs already available on the Japanese market. The applicant should have a clear product development plan and scientific rationale to support the necessity of the drug in Japan. Once clinical trials are completed, a New Drug Application (NDA) can be submitted. It is important to keep in mind that while Japan has orphan drug legislation, this legislation has room for interpretation. 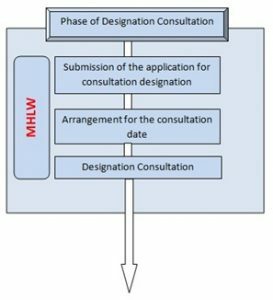 The MHLW (Ministry of Health, Labour, and Welfare) makes orphan drug designation and approval decisions on a case-by-case basis. This is especially true when determining the number of Japanese clinical trials required for approval 9. Australia: The Therapeutic Substances Regulations does not define a rare disease or orphan indication regarding the number of patients, but rather indicates that it must not be intended for use in more than 2000 patients a year if it is a vaccine or in-vivo diagnostic. To attain the orphan designation, "the application must show why the medicine is an orphan drug." In Australia, orphan drugs are drugs used to treat diseases or conditions affecting fewer than 2,000 individuals at any one time (0.2%) 9. India: The need for such an act is thus evident from the initiative by the Indian Pharmacists and the Government to implement Laws, which would strengthen the health infrastructure and provide relief to the numerous rare disease sufferers throughout the country. A group of pharmacologists at a conference held by the Indian Drugs Manufacturers Association in 2001 requested the Indian Government to institute the Orphan Drug Act in India 9. USA: To address these challenges, and help enable continued progress toward more treatments and even potential cures for rare diseases, FDA is undertaking a new effort to examine where it can help create a more efficient, scientifically advanced, predictable, and modern approach to the approval of safe and effective treatments for rare diseases. This is beginning with a modernization of the process for granting Orphan Drug Designations by our Office of Orphan Products Development. With their leadership and hard work, we will be modernizing the processes in OOPD to make sure we continue to provide timely review of orphan drug designation requests. This will provide more certainty to sponsors, and simplify and ultimately reduce some of the time and costs associated with orphan drug development. As part of this new plan, by September 21, 2017, FDA will complete reviews of all orphan drug designations that are older than 120 days. Following those 90 days, the agency is committing to respond to 100 percent of all new orphan drug designation requests within 90 days of their receipt by FDA. Program improvements and a renewed commitment to timely review to these critical products will ensure we do not build a backlog of designations again. After 90 days, 100 percent of all new orphan drug designation requests will receive a response by the agency within 90 days of receipt. FDA will adhere to this 90-day timeline going forward 10. 5. OOPD will collaborate with the Office of Paediatric Therapeutics (OPT) to jointly review rare paediatric disease (RPD) designation requests. In these cases, OPT will conduct the paediatric review and OOPD will conduct the rare disease review. This policy began as of May 15, 2017. 2. FDA will work to establish and implement a future state including the below changes. We will report on a full timeline of the progress on these activities within the next two months. · Complete development of web-based training for sponsors to enhance quality of submissions. · Modify Orphan Cluster meetings with EMA from monthly to quarterly o The impact of the reduction in frequency of meetings with EMA is mitigated by our well established and long-standing relationship with our EMA counterparts, which will allow us to have ad hoc meetings should they become necessary in the intervening months. · Modify FDA Rare Disease Council meetings from monthly to quarterly o The RDC was established in 2012 to serve as a forum to communicate and collaborate across the agency on rare disease issues. It is chaired by OOPD and includes representatives CDER, CBER, CDRH, OHCA, OL, and OOPD. Quarterly meetings would ensure continuity of cross-agency communication but would help reduce workload in administering monthly meetings. The implementation of more joint reviews and closer regular, ongoing collaboration should reduce the need for the larger, RDC meetings. 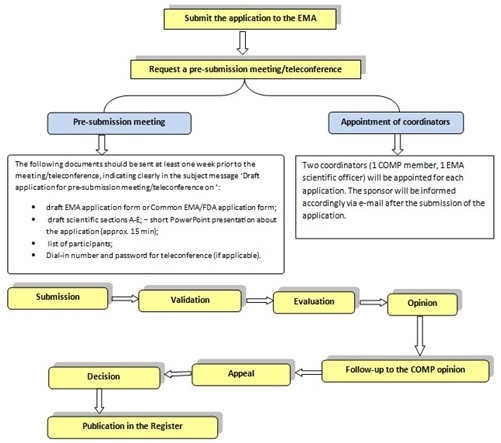 Applications for orphan designation are examined by the EMA's Committee for Orphan Medicinal Products (COMP), using the network of experts that the Committee has built up. The evaluation process takes a maximum of 90 days from validation 12. PAFSC- Pharmaceutical Affairs and Food Sanitation Council 13. Provide consistency and transparency to the orphan drug program. Medicines with orphan drug designation have the same evidence requirements as other prescription medicines and will be evaluated by TGA for quality, safety, and efficacy in the same way 14. Financial Incentives: Financial incentives utilized worldwide include: research grants, tax credits / corporate tax reductions, marketing exclusivity, and user fee waivers 15. These provisions exist as a means to allow firms to recover research and development costs, which would not be possible with sales of orphan drugs given the small market sizes. These incentives generally help to increase the availability of orphan drugs; Blankart et al., found that only 10% of clinical trials for orphan drugs would have been conducted without such financial incentives 16. 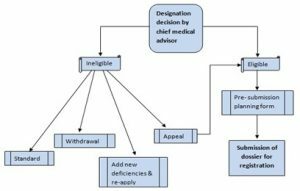 Non- Financial Incentives: Non-financial incentives we identified include: fast track approval, pre-licensing access (in the form of compassionate or off-label access) and scientific advice, that is, free protocol assistance and development consultation 17. Garau et al., investigated a selection of seven EU member states and found four countries (France, Italy, Spain and the Netherlands) allow pre-licensing access to orphan drugs but encourage the collection of additional clinical data to prove a therapeutic benefit. Pre-licensing allows importation of orphan drugs available in other countries but currently unauthorized in the country. Pre-licensing access is often the most common method for patients accessing orphan drugs in many countries, often through procedures such as ‘named patient procedures.’ Such use may be granted to an individual or a group of patients with a serious or life-threatening disease where there is no alternative therapeutic option 18. 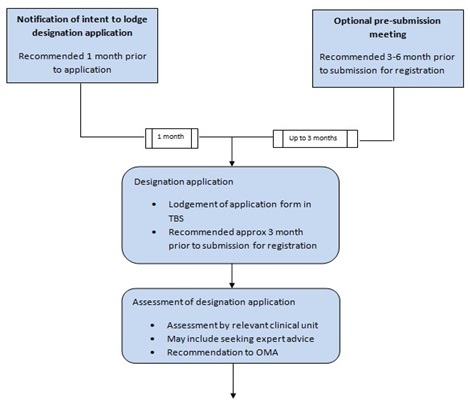 Free scientific advice including protocol assistance is provided by regulatory authorities to increase the quality of clinical trials and study protocols, and increase the likelihood of successful marketing authorization and subsequent reimbursement application 19. Marketing Exclusivity: Orphan drug exclusivity applies to those vaccines and diagnostic or preventive drugs either designed to affect conditions that afflict a relatively small number of people or for which there is no reasonable expectation of the recovery of research and development costs 20. 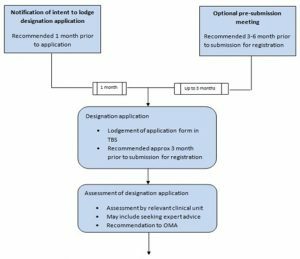 The approval of an application for orphan designation is based upon the information submitted by the sponsor. A drug that has obtained orphan designation is said to have "orphan status" 21. Sponsors need to follow the "standard regulatory requirements and process for obtaining market approval" 22. 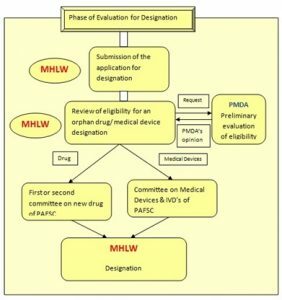 A sponsor may request orphan drug designation for a previously unapproved drug or an already marketed drug. More than one sponsor may receive orphan drug designation for the same drug for the same rare disease or condition. A drug with orphan status enjoys exclusive approval and market exclusivity 6. Worldwide Sales: Over the five years to 2017, industry revenue is anticipated to grow at an annualized rate of 2.1% to $1.2 trillion, including 2.7% revenue growth in 2017 that was realized. 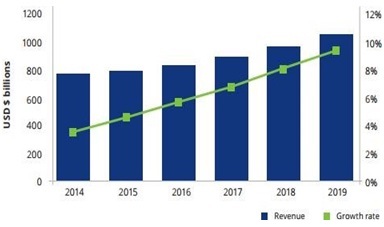 As more pharmaceutical manufacturers expand to serve emerging markets, industry revenue is expected to grow, especially as manufacturers target prevalent region-specific diseases. Profit is increased from 22.9% of industry revenue in 2012 to 24.1% in 2017, driven by rising global consumer demand for high-margin biologic drugs 23. Global Trade and Regulations: The industry contended with global governments seeking to reduce drug costs. This trend has been particularly popular in Europe, with austerity measures resulting in many countries announcing reimbursement reductions. In response, many pharmaceutical companies have altered their drug portfolios from primary-care blockbusters to specialities such as oncology, immunology, and inflammation, where the medical need is so high that regulators more-readily accept prices. While this trend provided the industry with stable need-based demand, counterfeit drugs have hampered industry revenue growth. According to the World Health Organization, counterfeit drugs currently account for 10.0% of the global market, but in some emerging countries, this proportion is as high as 30.0% to 40.0%. Recent data from the World Customs Organization puts the drug counterfeiting business at $250.0 billion a year. Protection and enforcement of intellectual property rights remain a difficult issue in many emerging markets, with forgery and first-copy products widespread. CONCLUSION: The orphan drug programs relating to rare diseases have met success only in some countries. In a market where first-mover advantages are small, it is difficult to find the appropriate incentive system. The system created by the ODA has led to an increase in the development, approval, and availability of orphan products. While the market exclusivity provision has expanded access to orphan drugs, it may be erroneously providing exclusive market protection for other products. A country should try to produce important drugs for the benefit of the whole world, depending on the R and D investment, the return on such investment, the tax and patent incentives, and its regulatory policies. Agreement of these points might lead to beneficial changes in our national thinking and prevent "orphanisation of new drugs." Jyothi G, Venkatesh M, Kumar PT, Radhadevi N, Gundavaram R and Sharma KK: Orphan Drug Act: History, Perspective and Challenges for Future. Am J PharmTech Res 2012; 2249-3387. Schieppati A, Henter JI, Daina E and Aperia A: Why rare diseases are an important medical and social issue. The Lancet 2008; 371(9629): 2039-41. Haffner ME: Adopting orphan drugs-two dozen years of treating rare diseases. New England Journal of Medicine 2006; 354(5): 445-7. Stakisaitis D, Spokiene I, Juskevicius J, Valuckas KP and Baiardi P: Access to information supporting the availability of medicines for patients suffering from rare diseases looking for possible treatments: the European Service. Medicine (Kaunas, Lithuania) 2007; 43(6): 441-6. Wästfelt M, Fadeel B and Henter JI: A journey of hope: lessons learned from studies on rare diseases and orphan drugs. Journal of Internal Medicine 2006; 260(1): 1-10. 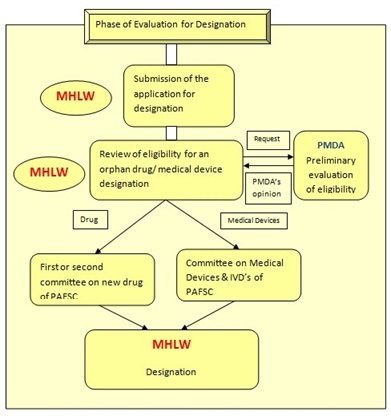 Smith and Sara HD: Orphan Drug Development: Incentives Under the Orphan Drug Act. Senior Theses, Trinity College, Hartford, CT 2015. DiMasi JA, Hansen RW, Grabowski HG and Lasagna L: Cost of innovation in the pharmaceutical industry. Journal of Health Economics 1991; 10(2): 107-42. Eichler HG, Bloechl-Daum B, Brasseur D, Breckenridge A, Leufkens H and Raine J: The risks of risk aversion in drug regulation. Nature reviews Drug discovery 2013; 12(12): 907. Sharma A, Jacob A, Tandon M and Kumar D: Orphan drug: development trends and strategies. Journal of Pharmacy and Bioallied Sciences 2010; 2(4): 290.
https://www.fda.gov/downloads/ForIndustry/DevelopingProductsforRareDiseasesConditions/HowtoapplyforOrphanProductDesignation/FINAL Orphan Drug Designation Plan. Antoniu S: Fresh from the designation pipeline: orphan drugs recently designated in the European Union. Expert Opinion on Orphan Drugs 2013; 1(3): 249-53. Yano K, Watanabe N, Tsuyuki K, Ikawa T, Kasanuki H and Yamato M: Regulatory approval for autologous human cells and tissue products in the United States, the European Union, and Japan. Regenerative Therapy 2015; 1: 45-56. Franco P: Orphan drugs: the regulatory environment. Drug Discovery Today 2013; 18(3-4): 163-72. Blankart CR, Stargardt T and Schreyögg J: Availability of and access to orphan drugs. Pharmacoeconomics 2011; 29(1): 63-82. Picavet E, Cassiman D and Simoens S: Evaluating and improving orphan drug regulations in Europe: a Delphi policy study. Health Policy 2012; 108(1): 1-9. Garau, Martina and Mestre-Ferrandiz, Jorge, Access Mechanisms for Orphan Drugs: A Comparative Study of Selected European Countries, OHE Briefing, No. 52, 2009. Kamusheva M, Stoimenova A, Doneva M, Zlatareva A and Petrova G: A cross-country comparison of reimbursed orphan medicines in Bulgaria, Greece and Romania. Biotechnology and Biotechnological Equipment 2013; 27(5): 4186-92. Mitsumoto J, Dorsey ER, Beck CA, Kieburtz K and Griggs RC: Pivotal studies of orphan drugs approved for neurological diseases. Annals of Neurology: Official Journal of the American Neurological Association and the Child Neurology Society 2009; 66(2): 184-90. Stolk P, Willemen MJ and Leufkens HG: Rare essentials: drugs for rare diseases as essential medicines. Bulletin of the World Health Organization 2006; 84(9): 745-51. Fischer A, Borensztein P and Roussel C: The rare European diseases therapeutic initiative. PLoS Medicine. 2005; 2(9): e243. https://www.ibisworld.com: IBIS World, Healthcare and Pharmaceuticals Industry NAICS. Thaker Z, Jethva K, Bhatt D, Zaveri M and Deshpande S: Orphan drugs: Overview and regulatory review process. Int J Pharm Sci & Res 2019; 10(2): 505-18. doi: 10.13040/IJPSR.0975-8232.10(2).505-18. Authors Address: Department of Regulatory Affairs, K. B. Institute of Pharmaceutical Education and Research, Sector - 23, Gandhinagar, Gujarat, India.